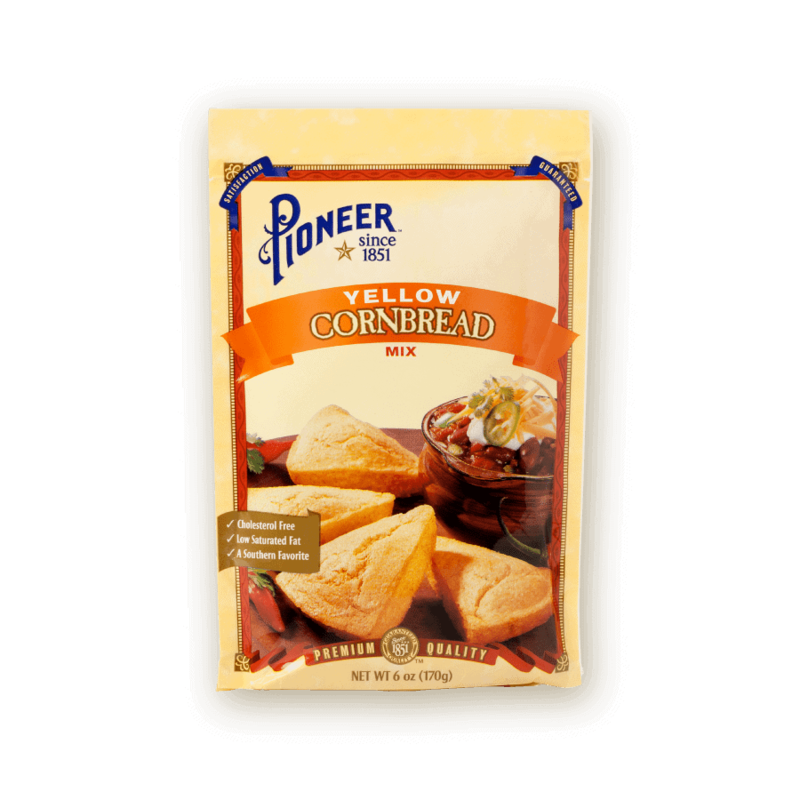 Pioneer Yellow Cornbread Mix is the perfect side dish to any meal. Our preportioned mix made from premium ingredients makes it simple to achieve a beautiful yellow color and the perfect texture, every time. Soft and warm, enjoy yellow cornbread that melts in your mouth. OIL around 8-inch pan, 6 muffin cups, or 9 cornstick molds. 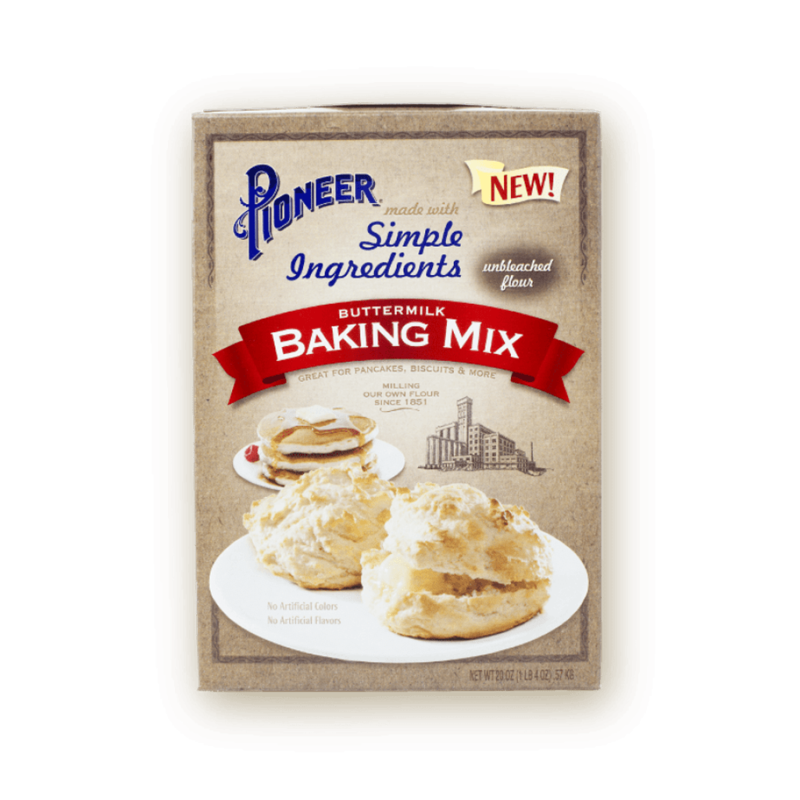 MIX egg and milk into cornbread mix. 1/4 cup onion, minced vegetable oil for deep frying PREHEAT oil 350° to 375°F. STIR in garlic salt and onion. DROP by teaspoonfuls into hot oil. COOK 3 to 4 minutes or until golden brown. Yields 20 11/2-inch hush puppies. SODIUM ALUMINUM PHOSPHATE, MONOCALCIUM PHOSPHATE.